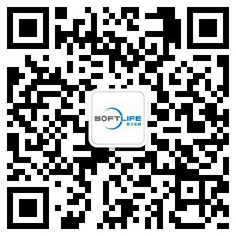 Sponge foam machine manufacturers to explain foam performance parameters of mechanical equipment - SOFTLIFE MATTRESS MACHINERY CO,.LTD. Mechanical equipment like sponge machines, mattress machines, sponge foaming machines are familiar to many of us because these people need to deal with these machines every day. Sponge foam machine manufacturers today explain the bubble machine equipment performance parameters. Below we can understand. Foam machinery performance parameters of the detection methods and basis. 3. Regulating equipment: air conditioning. Dehumidifier. Wet machine. 1. Sample size: 100mm × 100mm × 50mm, consistent with the original shape of the instrument and materials used. 4. Test equipment: steel ruler. Precision electronic said. 3. Test temperature: 70 ± 1 ℃ Maintenance time: 22H72H test 30min after the final thickness dr.
1. Sample size: length = 152mm width = 13mm thickness = 10-15mm. 2. Effective gauge 50mm, speed 500mm / min. 3. Sample: 100mm long 100mm high 50 +20 mm at least three. 4. Rebound rate R = H / H0 × 100, H steel rebound height mm, H0 ball falling height mm. 1. The sample size side length 380 + 20-0, thickness 50 ± 2mm, speed 100 ± 20mm / min. 2. Measuring accuracy of ± 1% or 1N (depending on the big set), the amount of compression accuracy ± 0.25mm. 3. Support plate openings 6mm, hole spacing 20mm, pressure head 200 +30 mm. 4. Repeat the test at least 16 hours of recovery. 1. Specimen length 150 ± 1mm, width 25 ± 0.5mm, thickness 25 ± 0.5mm, one end 40 ± 0.5mm incision. 2. 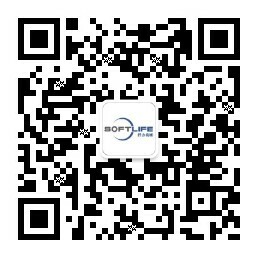 Speed 20-50mm / min, cutting the sample with a blade, keep the tear at least 50mm, record the maximum force value. 3. Tear strength = F / TF is the maximum force measured, T is the average thickness of the sample. The above is a description of the various performance parameters of foam machinery, to learn more about the mechanical equipment such as sponge foaming machine, sponge cutting machine, mattress edge machine and so on.